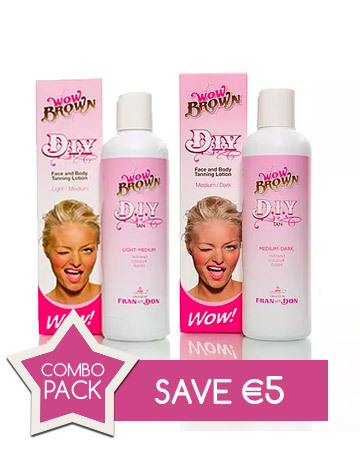 SAVE €5 WITH OUR TWIN PACK! 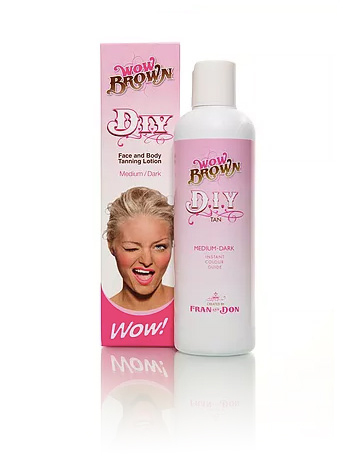 The Wow Brown DIY Face and Body Tanning lotion is our original self-tan formula and comes in two shades. The lightest shade gives the skin a Light-Medium brown colour guide and gives the skin an instant colour. The Medium-Dark shade of our DIY Face and Body Tanning lotion has the same rich and creamy texture as the Light-Medium but gives our customers the option to achieve that darker shade of WOW. Our Ready to Glo™ Tanning Liquid came into creation once we realised the market wanted an ‘At Home’ spray tan BUT in a bottle! We formulated Ready to Glo™ with the highest quality of DHA* like our professional salon solution but condensed the formula to deliver it in both a usable and travel friendly 100ml size. 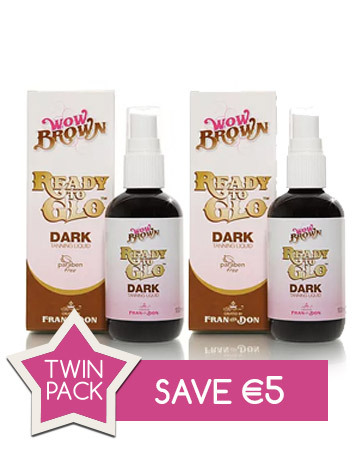 Ready to Glo™ gives the skin an instant Golden Wow Brown colour but a slightly darker shade than the Medium-Dark shade of DIY lotion ….. And don’t be fooled by its petite frame though ….. as this clever product still gives the same number of full body applications as the original formulation of Wow Brown. 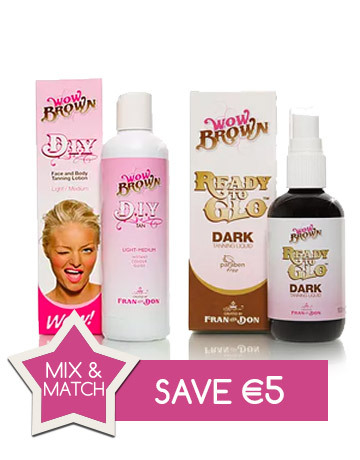 This ultimate tanning liquid dries quickly so you are Ready to Glo and ….. Go in minutes! *Ingredients that make you go brown. Spray ‘Ready-to-Glo™’ onto a mitt and apply all over your body in circular movements, on your neck and shoulders as a quick fix, or as a stand-in for stockings when you are ready to glo. 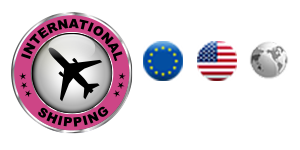 Extra bonus: this product is travel friendly!